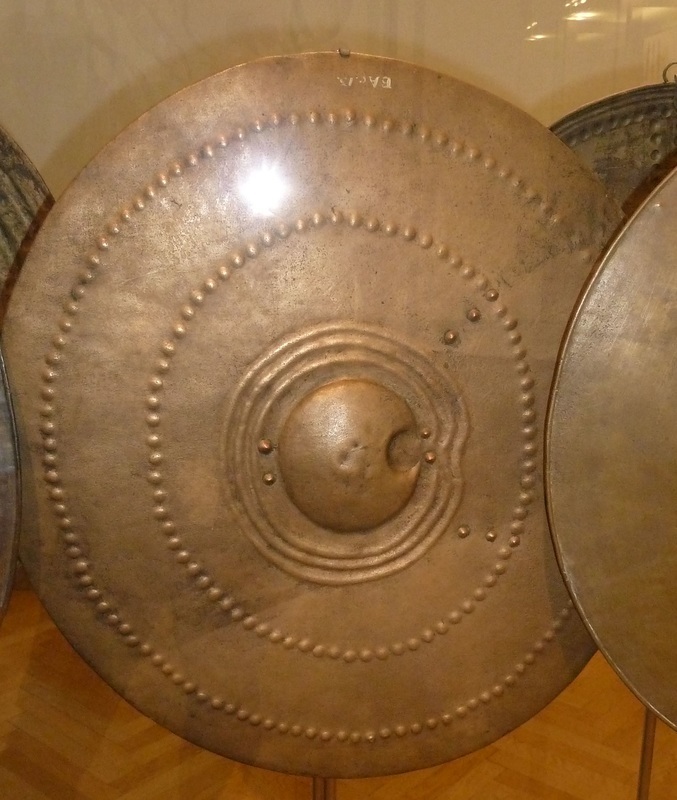 THE MARK OF A FIGHTER : THE SHIELD Shields are ancient weapons. The most primitive forms are sticks held in the left hand to ward off missiles or blows while a warrior attacks with a spear held in his right hand.The weapon develops into a stick with a hand guard and then a plank is used instead of a stick. Each culture developed a shield appropriate to its way of making war which gives a wide variety of form and materials used. The shield is a weapon which allows a fighter to protect himself from missiles and the enemy's weapons at close-quarters. It is not armour because it is not fixed onto the body. The symbolism of the shield was as protector. A man became mature when he could bear a shield which allowd him to take the role of protector of his family and home. Up to the age of maturity all males had a spear but the shield, an armament for war, a sign a man could stand in the battle line, was taken up at the age of maturity - probably mid teens. Over the time-span referred to as the 'Viking Age' the usual form of shield in northern Europe changed. At first the Germanic round shield was prevalent but this was later superceeded by the long kite-shaped shield. Influence from the east and perhaps, original Baltic styles favoured an almond-shaped shield.In the raiding and colonisation period the Germanic round shield was prevalent. In the Christianised era of kings and states the European kite shield became the norm. Germanic round shields and kite-shields were made in different ways and used in different ways. 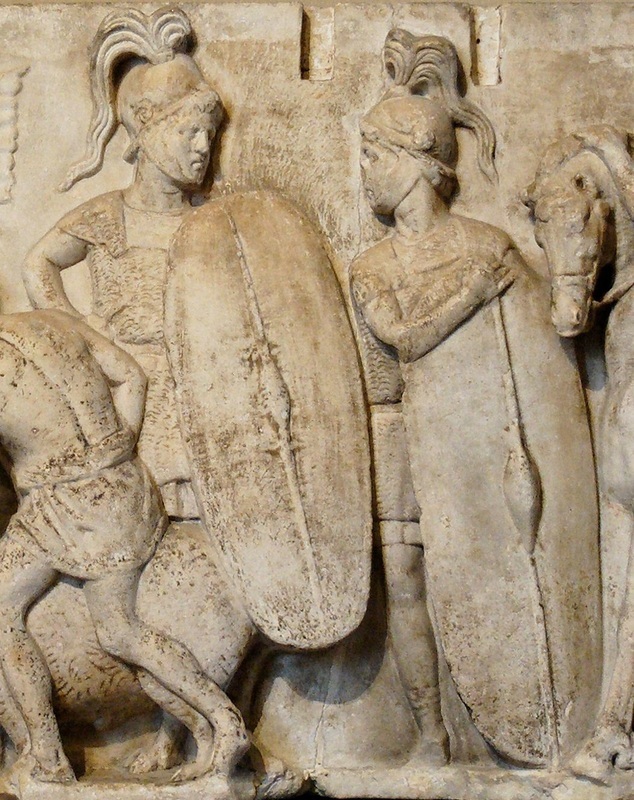 The round shield was used in a spear-armed phalanx and held in one hand away from the body, thus its weight was limited to what could be comfortably held in one hand. The longer kite-shield was borne on one arm and could be held against the body, in addition a series of straps allowed various arrangements to take the weight and a neck-strap retained the shield if it was dropped. The shield protected more of the body length and allowed a rider to partly protect his mount. Long shields were heavier in construction and could take more punishment. 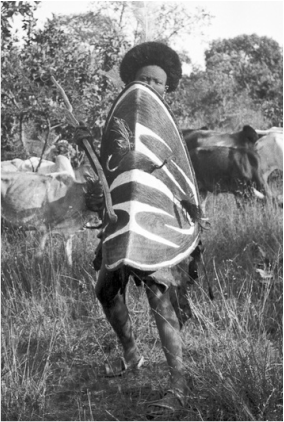 Shields were such an obvious part of the warrior's appearance that its form was used to symbolise the protagonists in imagery. Once kite shields were introduced they became the marker of the noble christian fighting man. The opponents who were characterised as foreign and old-fashioned were shown with round shields. We have no evidence that larger shields were used offensively. Some earlier shields were equipped with bosses that had projecting spikes or were themselves very protuberant. It is my opinion that such bosses were for display and if they had a combat use it was for trapping the opponent's weapon, not for smashing into the opponent. We can see this in the development of iron-age bosses where spikes become less fearsome and more ornamented with time then disappear. 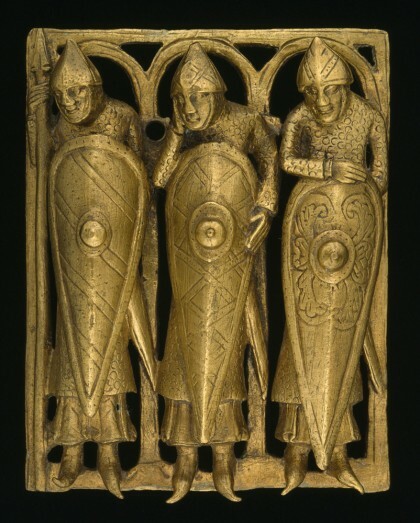 In the Later Roman army front-rank infantrymen were recommended to have very large shields with spiked bosses but in order to present a tough defensive shell to attackers rather than to be used offensively. To waste time and focus trying to deploy a shield offensively and forgetting to use one's deadly primary weapon does not make sense. Archers would take advantage of a misplaced shield and shoot the bearer or his neighbour. It is not even certain if the renowned Roman rectangular shield was ever used offensively even though such claims are often made. Prior to the use of small targets, some with spikes on, in renaissance times the commonplace offensive use of a shield remains doubtful. It may have happened in situations of man-to-man combat but as part of an encounter between lines of fighting men it has more disadvantages than advantages. Unlike a sword a shield was not a long-lived artefact-. A shield was vulnerable to damp, drying-out, mould and fungi and insects. A shield could not be a life-long companion even if it was not damaged in combat. Although it was an item crafted carefully by artisans it was not as expensive as a sword and never had the prestige of the offensive weapons. The shield does have a strong symbolic value. It indicates the warrior's role as protector and itself serves to protect its bearer. The shield was a striking part of the warrior's appearance and signified an unmistakably military role.Pendants found with armed women, in female clothing, include a shield. Even though a weapon is enough to indicate an armed figure, it is the addition of a shield which indicates a fighting person/warrior. Evolution of shield from a defensive stick. Parallel development in Africa and Australia. Good impression of Viking Age warrior with shield as found in archaeology. The 'Temple Pyx'. Knights Templar(?) from 1125 with long shields. Long shields as used by Roman soldiers c. 100BC.